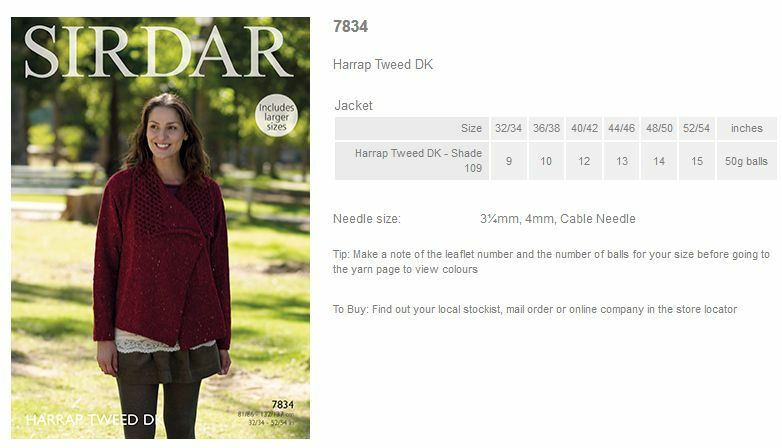 Yarn Type A yarn that has a genuine heritage; it has been inspired by Henry and Thomas Harrap who founded the Harrap Brothers company, which in 1934 became Sirdar. The Sirdar brand has been based in Wakefield, West Yorkshire since the very beginning, and we have taken inspiration from our glorious surroundings to create the rich, tweedy shades that are Harrap Tweed DK. 40% Nylon, 30% Wool, 24% Acrylic, 6% Viscose. Wool Cycle, Machine Washable, Dry Press, May be dry cleaned, Cool tumble dry, Dry flat. Leaflet with designs for a Jacket using Harrap Tweed DK. 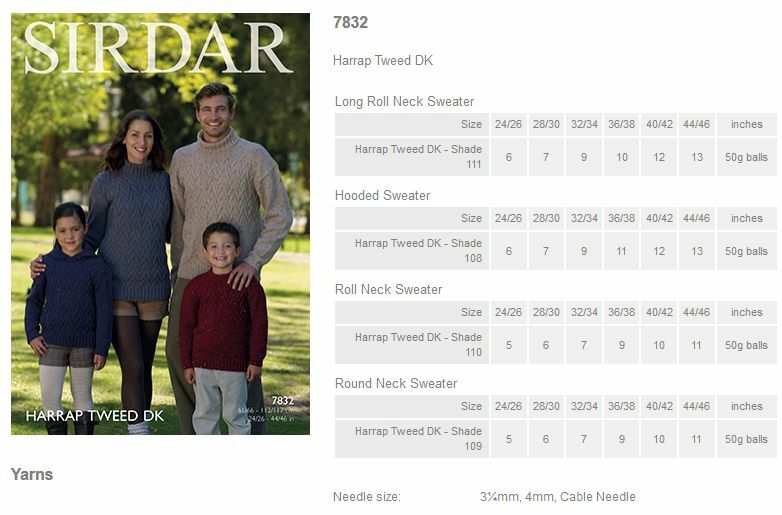 Leaflet with designs for a Long Roll Neck Sweater, Hooded Sweater, Roll Neck Sweater and Round Neck Sweater using Harrap Tweed DK. 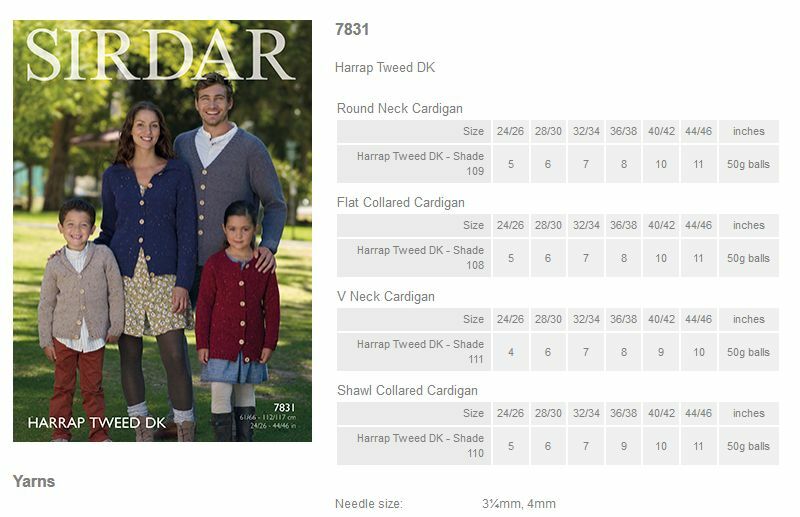 Leaflet with designs for a Round Neck Cardigan, Flat Collared Cardigan, V Neck Cardigan and Shawl Collared Cardigan using Harrap Tweed DK.